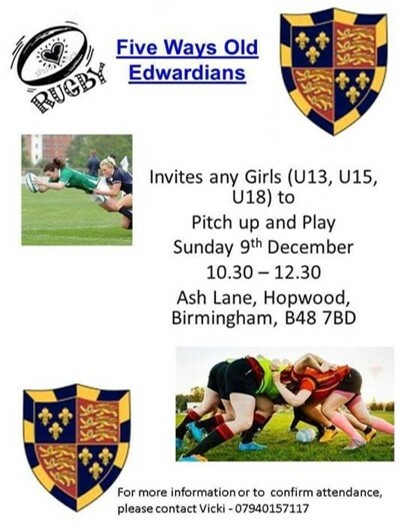 Five Ways Old Edwardian RFC, are hosting a pitch up and play - Sunday 9th December, all girls under 17 are welcome. Please let Vicki (07940157117) know if you want to attend. There will be food available for all afterwards.